Imagine, having your bike strapped to a car travelling at 100 miles per hour and then the cord is cut and you free wheel along in the slipstream of the car at.....183.9 miles per hour! Scary! That's what Denise Korenek-Mueller has just done - and she's only gone and broken the land speed record on a bike in the process. Apparently this 45-year-old American is a speed junky and has always been into speed. 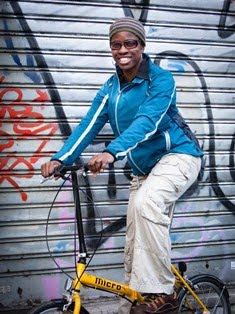 She's a bit like a female equivalent of Guy Martin. Prior to breaking this record she set the women's landspeed record on a bike (147 miles per hour) in 2016, and in her younger days she had been a multiple US National Road Race Champion and a downhill mountain bike racer. So going fast, was definitely in her genes. Fast living is not just confined to bike riding though. In 2017, after having set the women's landspeed record she broke her shoulder blade and rib during a training accident, went on to run the Great Wall of China Marathon, got married, and got shot in the leg during a firearms competition, and still managed to be ready to make her historical attempt on September 16th. Now she's back to her regular activity of being a mum and running the family business. 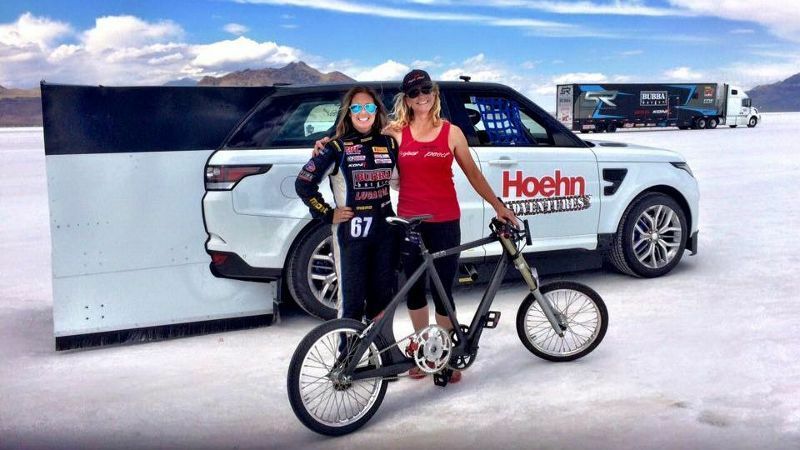 Interestingly, the pace car driver was Shea Holbrook, a woman who specialises in dragster racing and is a 7-time Pirelli Challenge racing driver, having raced at speeds of 278 miles per hour. Now that's what I call girl power! Denise Korenek-Mueller clearly likes to sail close to the wind in her activities, but what she did could well have had her sailing out of this world if things had gone wrong. In her own words "there is a fine line between living as if it is your last day on earth, and planning for your future. I choose to dance, sing and play on that fine line and live without regrets." I would never have the balls to do anything like what she did, though I really tip my hat to her, and I definitely find her an inspiration to live without regrets.